Cleveland police are noted for being among the most brutal and incompetent police forces in the country. 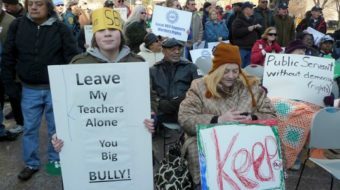 Recent developments have boosted chances that Senate Bill 5 will be repealed in the upcoming election. 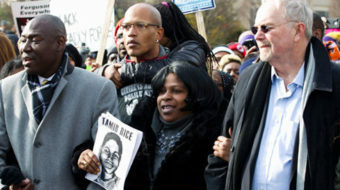 The Cleveland AFL-CIO gave the Occupy Wall Street movement a warm welcome of solidarity. 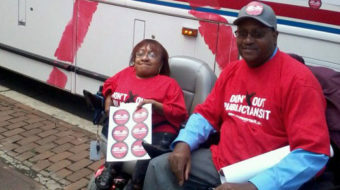 Seated in her power wheelchair in front of a bus with a large red X painted on its side, Donna Prease called for blocking massive cuts to public transit.